There is no doubt that 2016 is a brilliant year for St Estèphe. The dry summer and sunny harvest conditions played to the strengths of the terroir here. 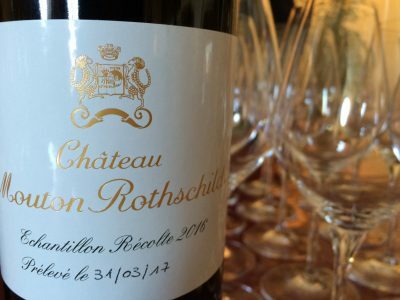 I’ve already marvelled at the harmony and balance of the wines at Château Calon Ségur, Château Montrose and Château Cos d’Estournel in this vintage, but, as ever, there are a bevy of other wines at lower price points that have produced wonderful red wine. 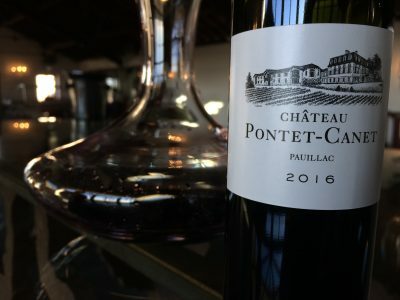 Château Beau-Site, Château Le Boscq, Château Capbern, Château Le Crock, Château Domeyne, Château Haut-Marbuzet and Château Meyney, to name a few, have all made excellent wines. St Estèphe is really an appellation to seek out in 2016 [as in 2014 too]. 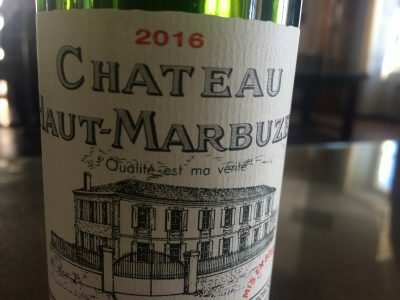 It is also one of my favourite Bordeaux appellations. Cos has done it again. 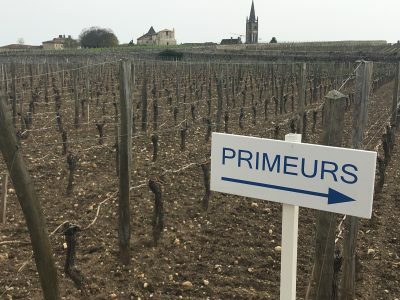 Following on from a successful 2015 [in what was actually a pretty tricky vintage for St Estèphe], 2016 is perhaps the most successful vintage here since the fabulous 2010. As ever the precision is exceptional. The wine is defined by a wonderful seam of bright, voluptuous fruit. 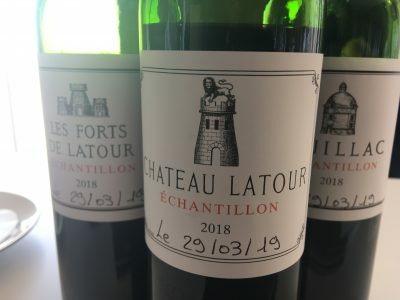 There are many layers to the palate and the tannins are beautifully refined. The balance overall is exceptional. This is potentially epic Cos in a new sense. 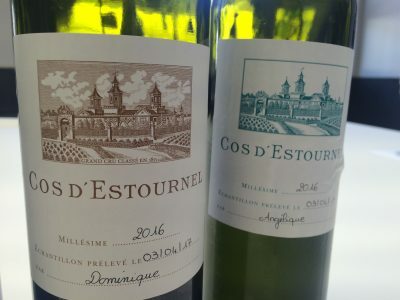 Pagodes de Cos [some 55% of the estate’s production] also looks very good in 2016, in a vintage that is clearly very successful for St Estèphe. Finesse and harmony are the hallmarks again here.